Home » Health & Fitness » Here’s how to build a mini workout corner at home for under S$50! If heading out of the house to fit some exercise time in seems like waaay too much effort, don’t worry — we’ve been there. 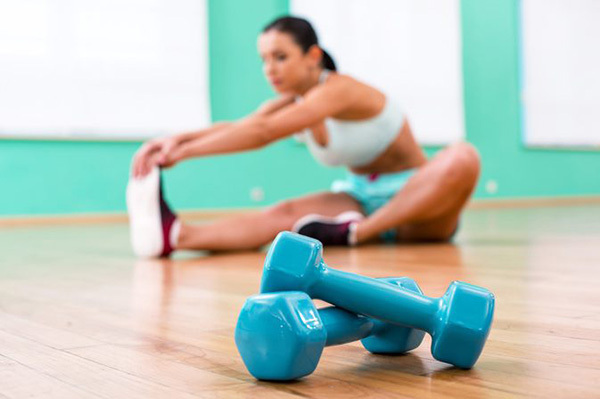 It’s probably why the concept of home gyms have been gaining in popularity with these days, really, with fitness junkies having multiple rooms dedicated to exercise alone. You don’t need rooms and rooms of exercise equipment to stay fit, though: if you’re compromised on space, trust us, a mini workout corner is more than enough. Here are some excellent tips as to how to build a workout corner for under SGD50 with inexpensive and space-efficient equipment. Workout motivation not included! These resistance bands are particularly great if you’re looking to train your chest, back, arms, and shoulders! These also happen to be portable and made of a lightweight material, so you can literally move them from area to area of your workout space with no issue. 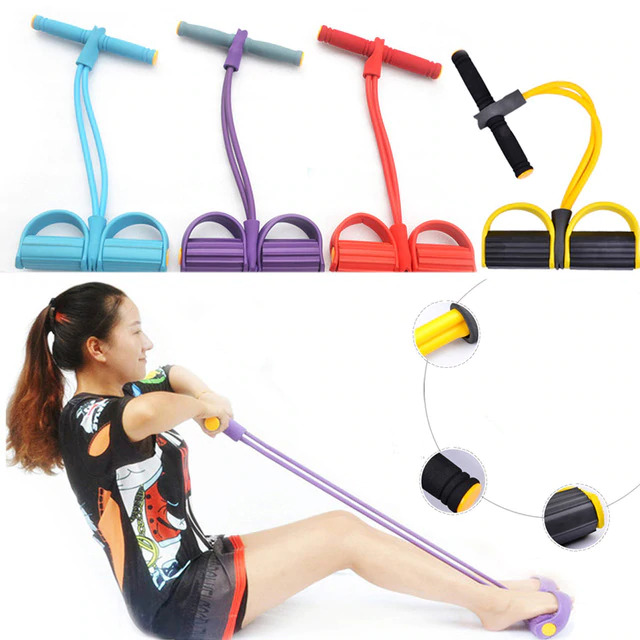 You can purchase pull rope resistance fitness bands from places such as Lazada, Ali Express, and Qoo10. The price ranges from SGD6.99 to about SGD10. Strengthen your upper body and core with a chin up bar installed strategically along your door frame. Not only will it be a good reminder to work out whenever you pass it, but they’re inexpensive and save on space, too. Who says you can’t have the best of both worlds? 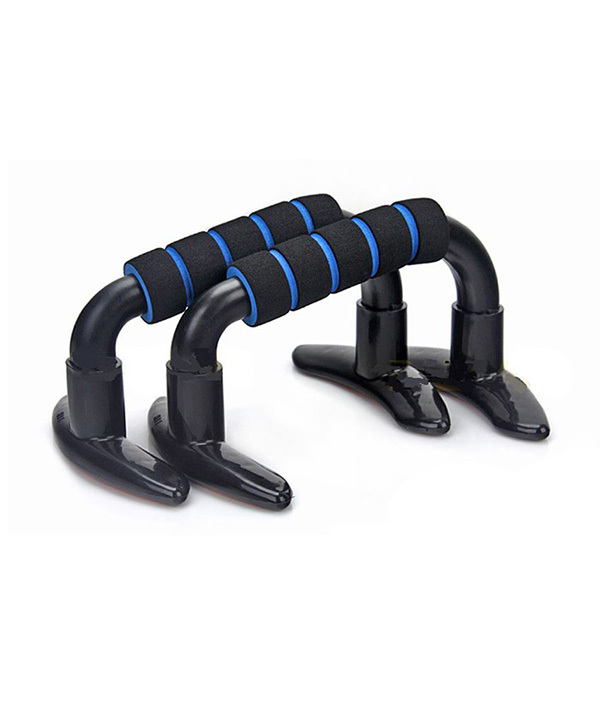 You can purchase chin up bars from places such as Lazada and homegym.sg. The price ranges from SGD16 to SGD20. Blast your core and abs with this handy ab twist board! Small enough to even fit under your desk, you can bring it out whenever you need to burn some calories or trim that tummy. Oh, and did we mention that it tones your gams, too? A multi-purpose piece of gym equipment, this definitely is. You can purchase ab twist boards from Lazada and Qoo10. The price ranges from SGD25 to SGD30. There’s no better or space-efficient way as to how to build a workout corner for under SGD50 by getting yourself a series of dumbbells and weights! There are a lot of inexpensive options out there from sports stores and online, so make sure to do your research thoroughly to hunt down the best option for you. You can purchase weights and dumbells from Decathlon, Lazada, and Qoo10. The price ranges from SGD16 to SGD20 for a set of two. You can purchase yoga mats from a variety of places. From yoga specialty stores such as Touch The Toes and OMgoing, or even Watsons and Decathlon. The price ranges from SGD20 for a basic mat to up to SGD100+ for customised ones. It can be so hard to motivate yourself to do a round of push ups, but trust us, it’s a little easier when you have this guy in your workout corner. Padded with a non-slip grip for enhanced stability and small enough to stash in a cupboard, this push up bar stand is really going to motivate you to pick up your push up count. 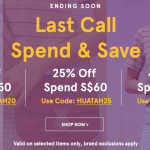 You can purchase push up bar stands from Lazada and homegym.sg. The price ranges from SGD12 to SGD16. A little clumsy on your feet? 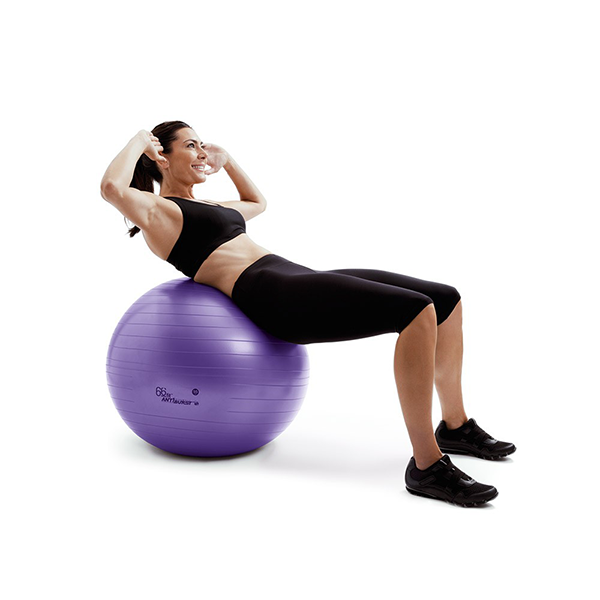 Build up your balance and core strength by doing a series of exercises on a gym ball. It also helps developing overall body muscle, is washable, and extremely lightweight so you can place it just about anywhere in your makeshift home gym. You can purchase gym balls from Lazada, homegym.sg, Decathlon, or any sport specialty store. 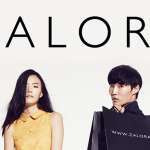 The price ranges from SGD6.90 to SGD30. Uh, what is that? 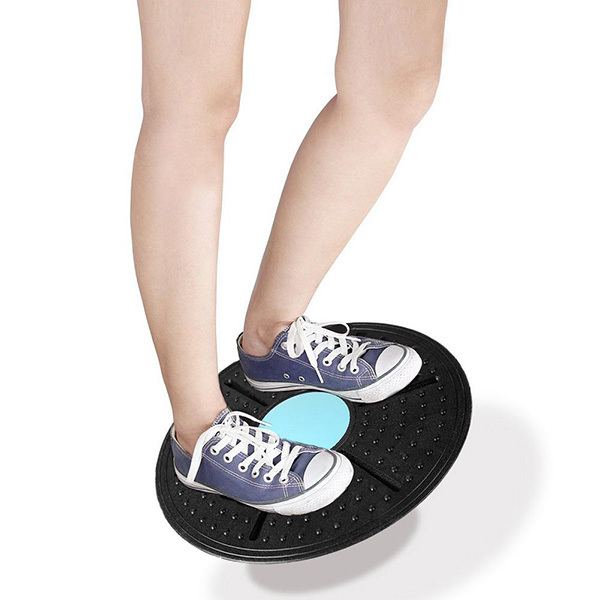 We know, this contraption might look a little strange at first sight, but this leg muscle fitness workout exercise machine actually helps shape your thighs, strengthen your arms, and tone your legs amongst everything! Have no idea how to use it? Check out this handy tutorial right here. You can purchase this leg muscle fitness workout exercise machine from Lazada and Amazon. The price ranges from SGD9 to SGD16. Jumping rope is not just limited to kids playtime! Skipping actually helps train your legs, arms, and build up core strength, which is a pretty good payoff considering how affordable and accessible they are. You can pick one up at major supermarkets, or even your corner mama shop. Not forgetting how lightweight, portable, and space-efficient they are too, of course! You can purchase skipping ropes from a variety of places, such as Lazada, Decathlon, and homegym.sg. The prices ranges from SGD5 to SGD15. Want to get abs so ripped they rival Pierre Png in that infamous Crazy Rich Asians scene? Well you can with a lot of hard work, dedication, and a nifty abs wheel! Simply push the wheel forward until your whole body is extended, pull back to your original position, and repeat. Deceptively easy to use, and effective? No wonder an abs wheel is considered to be a essential as to how to build a mini workout corner at home. 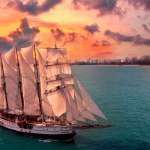 It certainly helps that it is space efficient and affordable too! You can purchase an abs wheel from Lazada and homegym.sg. The price ranges from SGD11.90 to SGD25. Don’t get this mixed up with your dumbbells just yet! 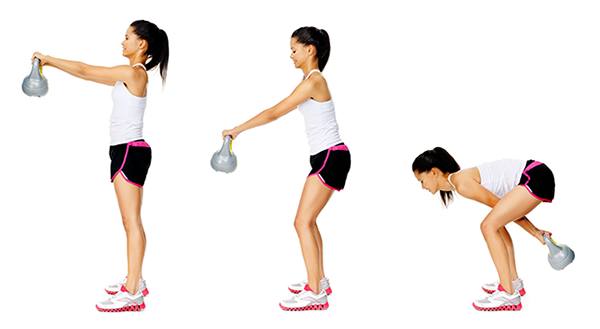 The kettlebell differs slightly from your traditional weights, but it is also known to be one of the best and most versatile piece of gym equipment, especially if you have limited space available. From goblet squats to lunges, trust us, you’re can get a full-body workout with just this baby alone. You can purchase kettlebells from a variety of places, such as Lazada, homegym.sg, and Decathlon. The price ranges from SGD18 to SGD50. This classic weighted ball actually allows for a wide variety of workouts while toning virtually your entire body, from your quads, glutes, calves to your abs! It helps that most places sell them in a set, too, so you can start small with the lightest ball before working your way up. You can purchase medicine balls from a variety of places, such as Lazada and Decathlon. The price ranges from SGD16 to SGD20. 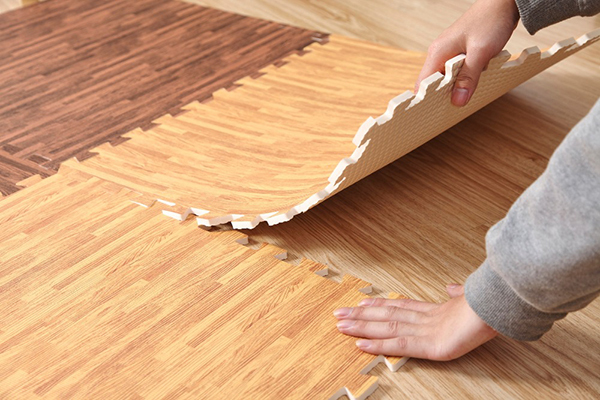 Protect your floors and your joints with these foam tiles! Not only can you pick a stylish design to match your interior, but they also work as a safe and great surface for when you conduct your workouts. You can purchase foam tiles from Foamtiles.com and Lazada. The price ranges from SGD22 to SGD49.